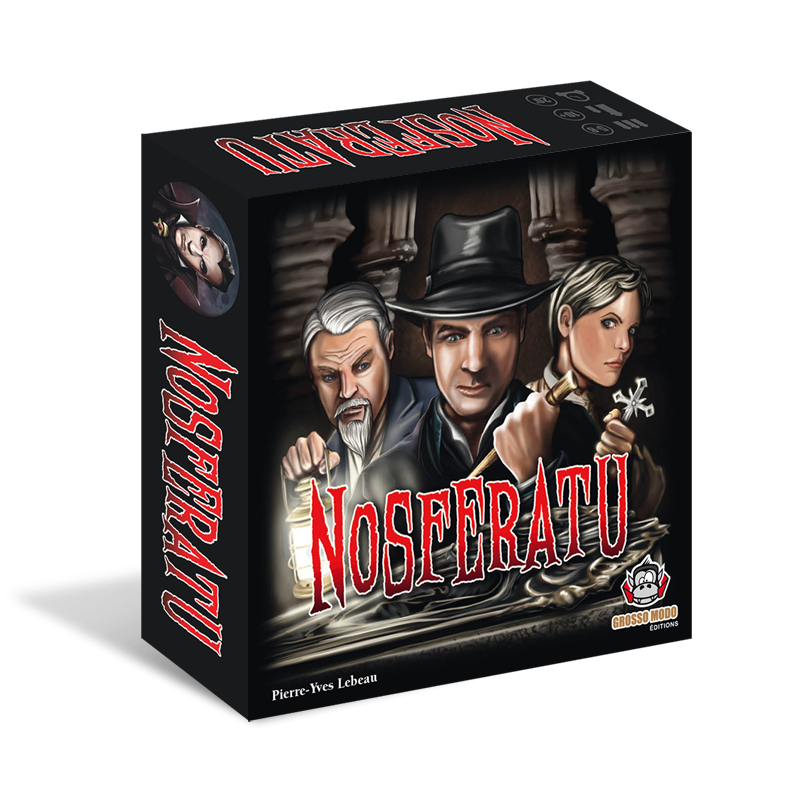 Nosferatu is a group game for 5 to 8 players in the same sort of category as Resistance, Avalon and Werewolf. One player is Nosferatu’s help Renfield and the other players are vampire hunters. Well, all apart from one who is actually Nosferatu. 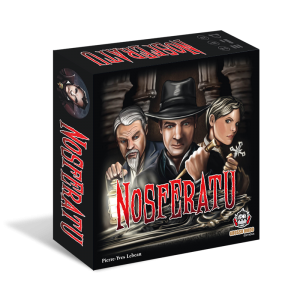 The vampire hunters are trying to kill Nosferatu before the game ends; however, if they stake a legitimate vampire hunter (who is not Nosferatu) then they lose. So, the vampire hunters have to work out which if them is Nosferatu. The Renfield player hands out the cards that say who is Nosferatu and who is not so Renfield knows Nosferatu’s identity. Rather than just leaving it down to talking, the players have cards they must play too.